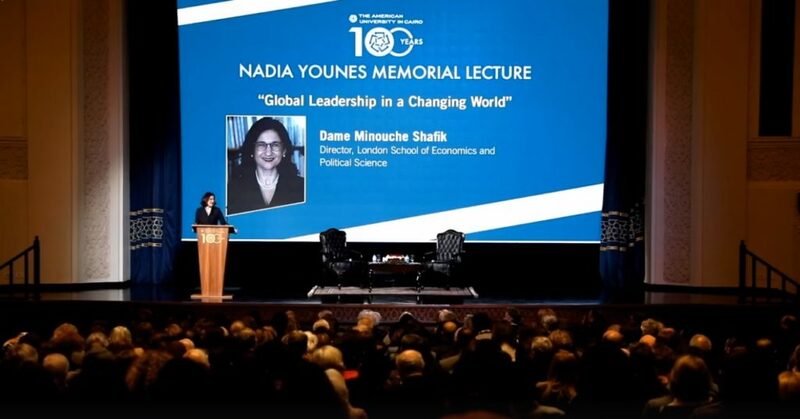 This year’s annual Nadia Younes Memorial Lecture featured Dame Minouche Shafik, former deputy managing director of the International Monetary Fund and former deputy governor of the Bank of England, director of the London School of Economics. Listen to her talk about Egyptian economics, opportunity, leadership, social mobility and more. © All Rights Reserved. The Younes Family.